George Soros, 86, today accused Budapest of lying in response to a campaign which suggested he was trying to flood Europe with migrants. 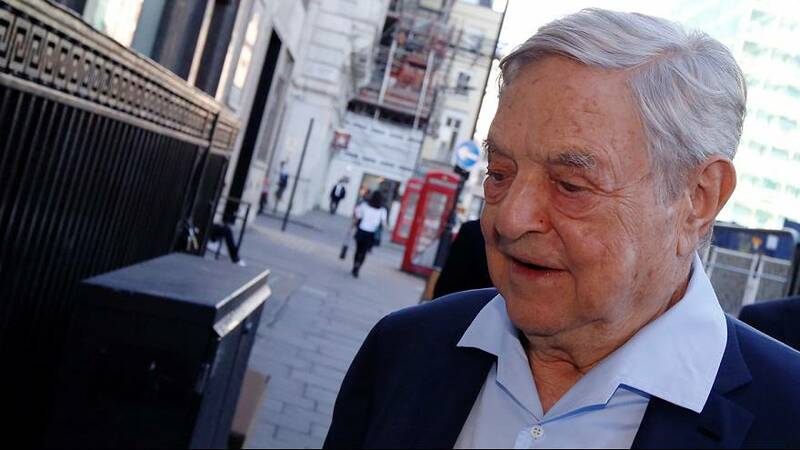 A post on the Hungarian-born billionaire’s Open Society Foundations website called claims made in a so-called “Soros plan,” distributed by the government, “outright lies”. With elections looming in April 2018, PM Viktor Orban sent out seven statements attributed to the financier including one in which he called for the European Union to accept a million migrants a year, paying them each one thousand euros. “The statements … contain distortions and outright lies that deliberately mislead Hungarians about George Soros’s views on migrants and refugees,” read the rebuttal. It then goes through them one by one explaining why they are false or lies. Soros’ response to the government’s campaign stoked anti-Muslim sentiment and employed anti-Semitic tropes. Vice chairman of the ruling Fidesz party, Gergely Gulyas, retaliated, saying Soros was engaged in a “frontal assault” against Hungary and was attacking the country via his non-government organisations and EU bureaucrats. He dismissed Soros’ claims that the Hungarian government lied in its campaign as “not substantial”, adding that both the billionaire and the EU pushed the same pro-migrant agenda. “Days before a recent immigration decision in the European Parliament Soros was meeting with the rapporteur on the subject as well as five different EU commissioners. I am not a conspiracy theorist but this holds some clues,” Gulyas said. It is not the first time he has been at odds with right-wing nationalists, with his support for open-border values in eastern Europe putting him at odds with Hungarian Prime Minister Viktor Orban’s government before now.